Found lakeside. Numerous males and females. Can't seem to find a match. 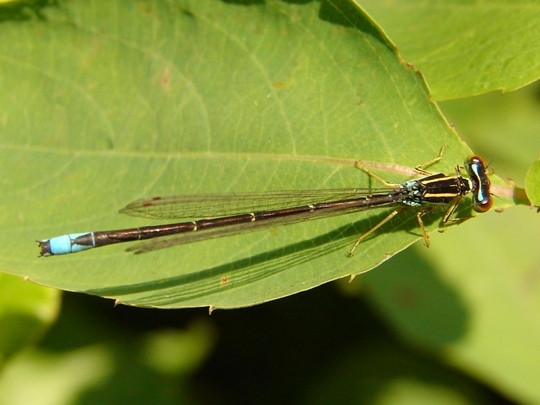 a Rainbow Bluet, Enallagma antennatum. Images in the guide here . Nice capture. This will make a fine addition to the guide.